The Square Shaped Gemstone Wooden Clock features a truly mesmerizing display of fine design work on the wooden frame that surrounds the gemstone face of Read More..the clock. 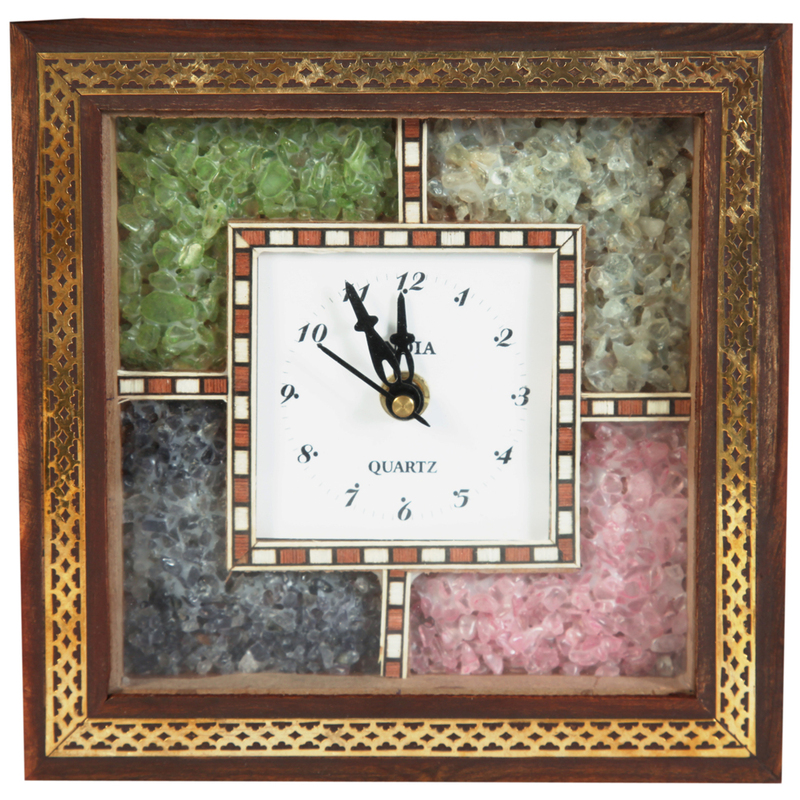 The square shaped face of the clock carries four equally dimensioned sections, with each of them featuring gemstones of a different color to make this clock quite an eyeful. Moreover, the central square on the clock face contains the actual hands of the clock with the markings for the hours set in black against a pristine white background to make it highly convenient for the users to tell time for afar with ease. Show Less..